Today is the last day of 2015. Few more hours to go and we will be welcoming The Year of The Monkey. If you are feeling nostalgic and wonder how the year went by, you may want to make your own reflections. 1.What is the single best thing that happened in the past year? Blogging. I’m one of those people who were jealous of others who talk abut their passion. I used to wonder how come they have passion and I don’t freaking know what mine was. Is it just a myth? A magic word that only few figures out? Only mature people covets? But one thing I realized that you never know what your passion is until you try hundred things. Taking risks, getting out of your comfort zone, meeting new people, and just explore. And I’m glad I tried blogging even though I’m not confident of my lousy writing. It gives me outlet to lash out whenever I have so many things to say and no one wants to really listen. 2. What is the most challenging thing that happened to you in 2015? Resigning from the company that I’ve been with for 6 years. It’s a scary thing getting out of the work that I’m very familiar and the company and colleagues that I have been for years. But I’m glad I took the jump. 3. What thing did you learn the most from this year? Changes are not bad. I’ve experienced many changes and I learned a lot of new things this year. I am stretched, challenged, thrown to the unknown and yet I am still alive. The saying “What doesn’t kill you makes you stronger” is indeed true. 4. What is the kindest thing you did this year? Not getting scared to tell people that I am a World Vision sponsor. I’ve been a child sponsor for more than 8 years now but I only told few about it. I’m not comfortable letting others know as I don’t want them to think that I’m blowing my own trumpet. But you know what? I realized that helping an advocacy should never be ashamed of. Letting others know might inspire them to follow suit. 5. Did you lose any close family member this year? No, thank goodness. 7. What did you do in 2015 that you never did before? Blogging and launching my enamel pendant business. 8. Did you keep last year’s resolutions? What were they? I set several goals at the beginning of 2015. Most of them are financial and personal development goals and I would like to say that I was able to accomplished 70% of it. Not bad but could be better. 9. Did you travel to any interesting places in 2015? Yes! We traveled to Europe for the first time. We went to Rome and soaked in the culture and tried all the pizza and pasta that the city can offer. It was a memorable family trip. 11. Do you even believe in new year’s resolutions? Why or why not? Not really resolutions but more of goals. I am a firm believer of setting your goals and believe it will happen. 12. Do you believe that 2015 had an reoccurring theme for you? If so, which theme and why? 2015 was a year of changes and challenges for me. The good kind. I left my old job, had a new job. I was promoted. I started blogging. Launched my jewelry business. Traveled first time to Europe. My daughter started pre-school (She’s not a baby anymore!!!). 13. Do you feel like 2015 went by too fast? What?!? 2015 is over? 14. Did you fall in love with any new artists during the year 2015? List them. I can’t believe I will say it, but I thought Justin Bieber is a revelation this year. 15. Brag about two of your accomplishments in 2015. Just getting out of my comfort zone is a big achievement for me. 16. What was your favorite movie that came out this year? Not really a movie buff. I might have watched a few films but nothing really struck me as special. 17. Fill in the blank: In 2016 I will continue challenging myself and will let go of things that I cannot control. 18. If you could fly anywhere in the world in 2016, where would you go? We have purchased ticket to travel to Vienna, Venice, Florence, Pisa and Rome this March together with Jholen, Joseph, Milet and Gerald. Looking forward to it. But if I can wish, it will be Paris. Whenever we plan going there, some security threats happen prevents us from pushing through. 19. What was your biggest regret of 2015? I wish I’ve tried harder. 20. Do you think you’ll be having a better 2016 than 2015? YES! YES! YES! 21. Did you make any new friends this year? Lose any friends? I did make a few new friends and I don’t think I lost any. It’s never good bye but just see you soon. 22. What was the biggest adventure of the last year? Exploring the ancient ruins of Rome. Walking the same path as the Romans. Seeing the Colosseum. All is surreal. As well as the launching my enamel pendant business. It’s a roller coaster ride. 23. Did you get cake on your birthday? Presents? What you wanted? I got a Mac on my birthday. Not really on my birthday, but I received a new iPad and travel journal this year. 24. How much did you change this year? What’s different about you? Oh my gosh! I think my middle name this year is Change. So many things happened to me professionally and personally. Either by choice or chance. But most of them are positive and I welcomed them all. 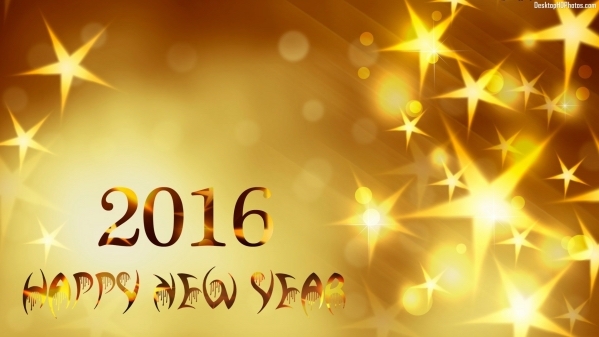 Happy New Year everyone and may 2016 be the best year for You! Claim it! Believe it! And trust that the Lord Almighty will bless you with all the abundance of this world can offer.